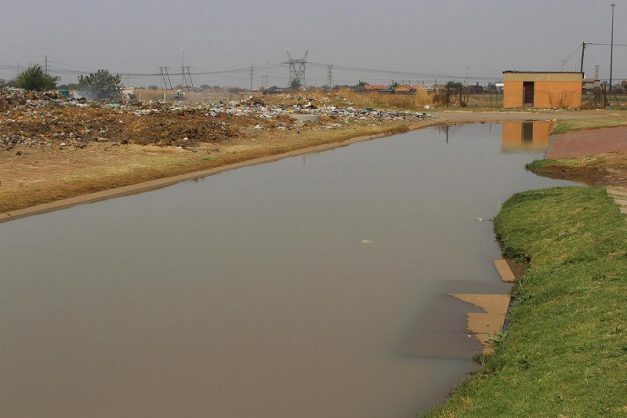 Sewage waste floods Mongau Street in Tshepiso, Sharpeville, in Emfuleni local municipality. Picture supplied. Would it not make sense for municipal authorities to consult people on the ground first and offer these communities priority in jobs, or subcontracts? People have become so inured to protests – primarily about service delivery – that they seldom give them a second thought. So, the latest example of ongoing disruptions from the Vaal region has so far gone without comment. The Emfuleni Local Municipality told The Citizen this week that, with a multibillion-rand infrastructure backlog, it is still struggling to build roads, sanitation and potable water facilities because of constant delays, many of which are because of actual or threatened protests by community members. At first glance, it would seem illogical for communities to disrupt the activities of those trying to bring them better services, in a similar way protesters burn down libraries because they are unhappy with municipal services. But the reality is that the protesters are simply demanding the opportunity to work on these projects. With unemployment at record highs – and showing no indication of declining in the short or medium term – it is understandable that people see infrastructure projects in their area and want some immediate financial benefit. While we do not condone the disruptions caused by communities protesting because they want to be involved, we believe this is a good reason for a long, hard look at the government and municipal tender system. Apart from the obvious abuse of the system in myriad cases over the years, the system presently does not allow an affected community to make any input. Would it not make sense for municipal authorities – even allowing for the delays it might cause – to consult people on the ground first and offer these communities priority in terms of job opportunities, or subcontracts to firms, in their area? Government or municipal development projects could be a powerful tool in poverty alleviation, skills transfer and in promoting entrepreneurship.